Stop by this Saturday to sample some outstanding Champagne ideal for sharing with your sweetheart or anyone that just loves good wine. Pickup a bottle or two at a special Valentine’s Day discount. For those of you that can’t make it stop in today or Friday for a taste of some bubbly. 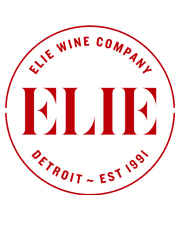 If you’ve spent any time with us at Elie Wine Co. you likely already know our commitment to stocking Champagne from small producers and individual growers/winemakers. Year round we source top quality bottles from the most famous region on earth for sparkling wines, because we believe Champagne should be enjoyed on a regular basis. Life itself is worth celebrating. You can be assured that our Champagne wasn’t delivered a few days before the key holidays of New Year’s Eve or Valentine’s Day. Even the most everyday wine will benefit from a little peace and quiet after all the jostling incurred from the various shippers and handlers. Which is why we purchase by the case (usually multiple) instead of single bottles, and do our best to make sure the wine is well-rested before it comes alive in your glass. We’ll be tasting a couple of Blanc de Blancs Grand Cru Champagne including the charming and creamy 1999 Billecart-Salmon. It’s a heady blend of some of the best Grand Cru sites of the Côte des Blancs: Chouilly for finesse, Avize for power, and Mesnil-sur-Oger for structure and longevity. And the tiny production Lancelot-Pienne, filled with crunchy white fruits and vigor. With a mere 10 acres in the Côte des Blancs, specifically the grand cru village of Cramant, Gilles Lancelot is tending Chardonnay vines from plots with a long history of creating wines of elegance. In the spirit of the day, if you purchase Champagne we’ll give you a complimentary “Olive Ewe” bon bon* (dark chocolate filled with olive oil caramel and sheep’s milk cream ganache) made by local chocolatier, Alexandra Clark. Her store, Bon Bon Bon, is located in Hamtramck and she has a lively mix of bon bon flavors and a fanatical following. Even if you’re not romantically involved, like any good holiday, the meaning of Valentine’s Day is flexible enough to cover just about anyone’s fancy. Let the Finnish version of Valentine’s Day be your guide. It’s called Ystävänpäivä, which translates into “Friend’s Day.” What better justification for a Champagne dinner than good friends?